A guarantee is a great method to get those people sitting on the fence to sign up for your services. If someone is choosing between your online personal training program and that of another trainer a guarantee will likely sway them towards you. Guarantees will also make clients follow your advice more closely and if there is a length of time on the guarantee it will help persuade them to stay with you to the end of your programs. A guarantee says you have complete confidence in the coaching you give, therefore it immediately positions you as a trustworthy expert. The biggest issue with offering a guarantee for your online programs is this; How can you make sure that your clients have done the work? Below is a quick guide that shows you how to create a compelling guarantee that you can check up on. A really good guarantee should take away all of the risk from your potential client and also build up the relationship and level of trust between you and them. Too many tight conditions lead to miss trust and an impression that you are a sneaky salesman. 1. Assure your customer that you believe in the quality of your product. 2. Spell out your terms and conditions clearly. 3. Specify a generous time period for evaluation. 4. State what you will do if the customer is dissatisfied. That's all it needs to be. Keep it as simple and straightforward as possible and your potential clients will trust it and trust you. First up, most people are decent and it's very rare that people try to take advantage of your guarantee if they haven't done the work. PT Distinction has had a results guarantee for a year now and only 3 people have ever tried to claim it without doing the work. Those that followed our advice got the results they wanted so it has cost us nothing in a year. In order to have the ability to check on clients adherence the guarantee should state that they need to follow your coaching and programs and that they should record all of their results and check-ins at the time they follow the advice. Asking for occasional exercise technique videos and food photos will also ensure they provide you with further evidence while helping you to improve the coaching process and help them stay on track. So, a good results guarantee needs to be a measurable result I.e. "drop a jeans size in x weeks" and have track-able actions I.e. record results on your training programs, send photos of your meals, check in when you watch my coaching videos and maybe film your exercise technique for a few specific lifts. All of these things would be a part of your normal coaching process anyway. “Follow the xyz plan and if you don't drop at least one jeans size in 6 weeks we will give you every penny back”. Your welcome pack would then tell clients to record their results and your coaching would include checking food diaries or photos. The other popular guarantee is a satisfaction guarantee. This can be a great replacement for a free trial or even be used alongside a free trial. Again this has a specific time period or condition attached to it. A satisfaction guarantee is simply based on whether a client is happy with your service or not. A good example of a satisfaction guarantee is this from TRX. On reading the guarantee you may be tempted to buy their product rather than that of a lower priced competitor. They are certainly the market leader in their niche. 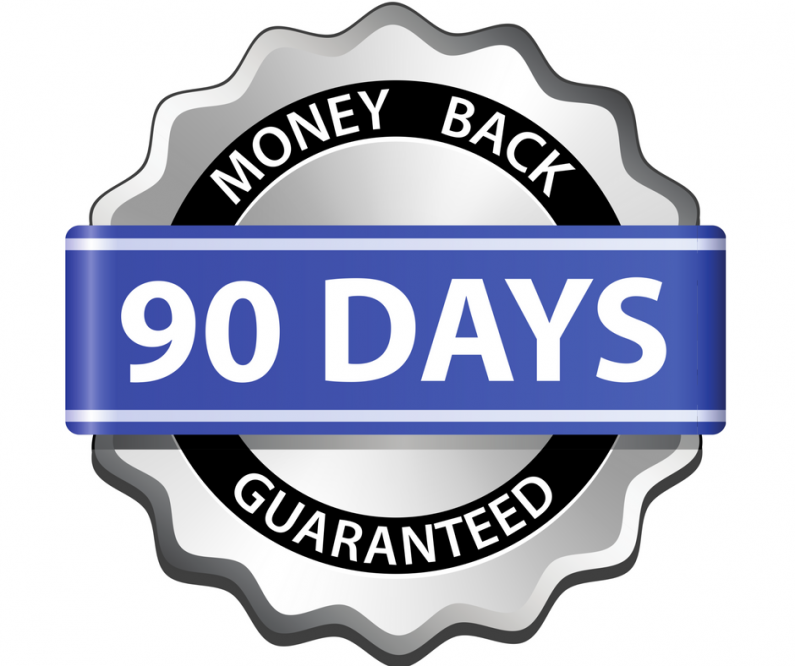 With this type of guarantee and you do open yourself up a little more to clients taking advantage, but the increase in clients coming through the door as a result of your guarantee should always be far more valuable than the few refunds you have to make.